Who did this? The models were created, analyzed and documented by Prove & Run, a French software firm, on contract to Arm. What is this? It’s a Common Criteria Protection Profile. If you’re not familiar with the Common Criteria, it’s an attempt to use the buying power of major governments to improve the security of the things they buy, and to reduce costs for manufacturers by aligning their security requirements. That fundamental nature, of being a Protection Profile, controls the form of the document, and the models within it. The models of ‘what we’re working on’ vary by purpose. We construct models to help us analyze and to help us communicate. We might want to communicate to persuade, to discuss, or to document. Our documents might be hyper-transient on a whiteboard or napkin, or designed for archival use. Both are choices. It takes work to write the more formal version. 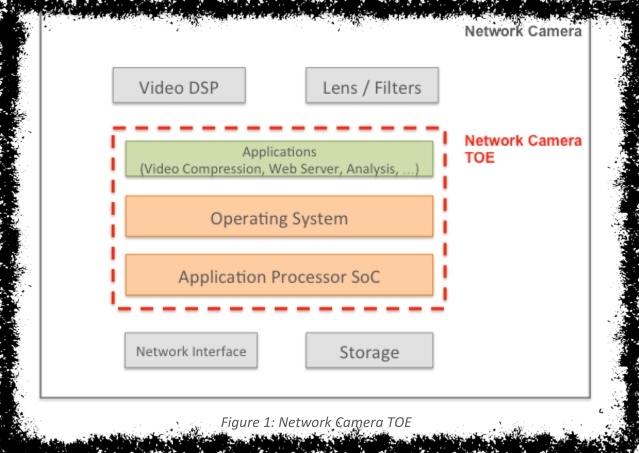 Give an overview of the camera TOE, and its use and major security features. 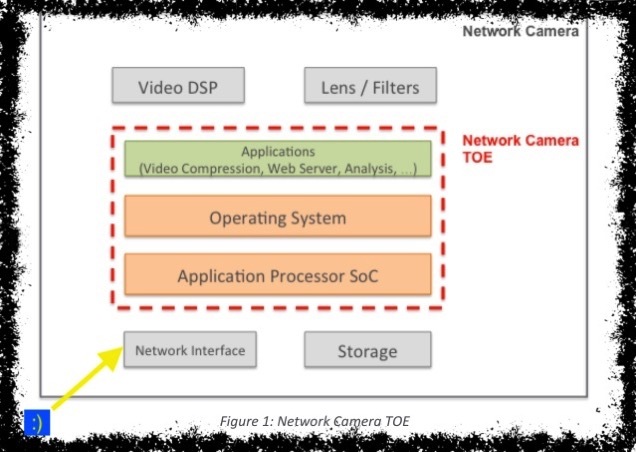 By TOE, they mean Target of Evaluation, which is a subset of the camera. So how they do this is very, very, strongly grounded in the Common Criteria, to an extent that it’s hard for anyone not grounded in that world to read. Provide a diagram of what’s in scope, and a set of assets to be protected. Offer a set of threats. I’ll analyze these below. Tie the security objectives to a set of threats. Derive security requirements to meet the objectives. With that, let me turn to the 4-question frame. 1. What are we working on? This is addressed by the TOE, the diagram, and the set of security policies. There are also no threats listed relative to the ‘general purpose operating system’ which may be present. And from a Common Criteria perspective, that’s sensible — it has a PP. We’ll return to this in asking if we did a good job. The answers to this are a set of security functional requirements in section 6. I want to touch on one, and here, I will take the liberty of disagreeing. The line reads: MITM “assumes that the TOE can be attacked by intercepting or spying communications with remote servers. This threat is countered by the security objective OT.COMMUNICATION that ensures authentication of remote servers and protection in confidentiality and integrity of exchanged data.” Authenticating remote servers is not sufficient to meet this goal. At a base, the difference between TLS 1.2 and 1.3 is about this problem. Solving it fully is hard — does the camera need to reach out to a Certificate Authority for a cert? I want more here. To me, much of the form is sensible for that goal, especially section 6, and that sensible form may be doubly hidden. It’s hidden on page 18 and onwards, and it’s hidden behind a complex and intimidating form. The meat of the document starts 9 pages in. The language is heavily formal. A useful side effect of formality is the language is quite clear, especially compared to a lot of documents I see. There is not enough discussion of vulnerabilities of the operating system and other software components. This does a dis-service to the non-expert customers for this document. They should get some guidance, perhaps couched in an acknowledgement that it’s outside the norms of a protection profile. There may be Common-Criteria specific reasons that doing that is bad, including drawing the attention of the evaluation labs. If that’s the case, then adding a third document to the zip file seems appropriate. In closing, I found this to be a really interesting model to examine. What do you think of it? What else should we look at? Would it been better if they had been more explicit with their graphics ? I am a beginner in Threat Modelling and would have appreciated a detailed diagram denoting the trust boundaries. Do you think it would help? Or it would further complicate?